Fortnite’s weekly content update has landed and there are big additions to look forward to for Battle Royale regulars. Players can now navigate the map in the new Quadcrusher vehicle and take part in in-game tournaments. There are also a whole host of big improvements to look forward to across all platforms, including iOS. Fortnite’s weekly patches have brought new weapons and game modes every week since the launch of season six in late September, but they haven’t been terribly exciting. That’s to be expected after a major update. But this week’s release is different. With a new vehicle, in-game tournaments, and big improvements to enjoy, every Fortnite fan is going to want to clear their schedules this evening to drop into Battle Royale. Forget shopping carts and ATKs — there’s a brand new way to navigate the Battle Royale map that’s much more entertaining. The new Quadcrusher has arrived, giving up to two players the ability to reach higher speeds and unleash destruction. The Quadcrusher builds boost as you drive it and one button press will blast you forward. 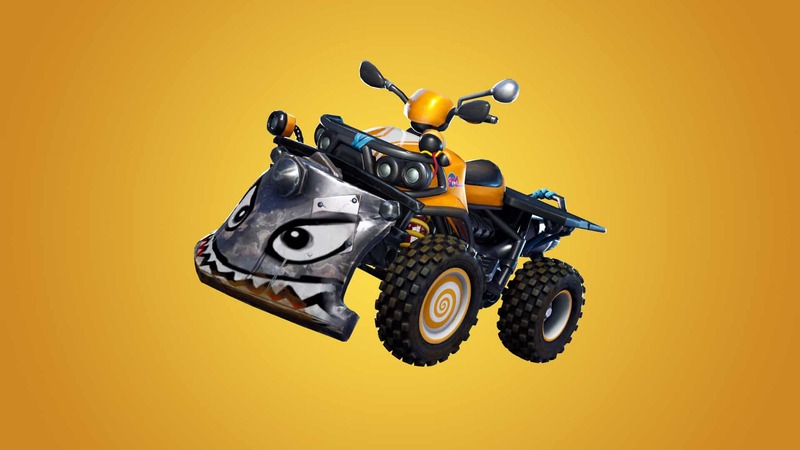 While boosting, you can jump off ramps or cliffs to gain lots of ground, launch players into the air by driving into them, and even smash through buildings. When you’re ready to take things a little more seriously, you can head into the new “Events” tab in the lobby to find a variety of online competitions that are open to everyone. Each tournament has a series of scheduled dates and times, so you can plan ahead and be prepared. Players are matched against opponents with similar scores during the session, so tournaments are fairer than regular Battle Royale matches. You won’t have to worry about being eliminated by more experienced players early on. As if all this wasn’t enough, Epic has also made a long list of changes and improvements to gameplay across all platforms. Highlights include the ability to set build mode controller sensitivity on console, and CPU performance optimizations on Nintendo Switch. PS4 Pro owners can now enjoy Fortnite in 1440p when playing on a 4K TV, while those on iOS will notice memory improvements, smoothing for touch control input, and the ability to tap the buttons in the build bar to place selected pieces. The complete patch notes for this release can be found on the Fortnite blog. When you’re ready, the update is ready to download and enjoy across all platforms.